A male bear cub was caught taking a stroll on the southern side of Kastoria Lake on Monday, a day after it wandered out in the same direction attracting the attention of numerous bystanders. People watching the bear through binoculars saw it feast on a dead swan and then chase a rare white-tailed eagle which tried to steal the carcass. Scientists from wildlife NGO, Arktouros and the Environment Company of Kastoria together with forest service employees and police arrived at the lake in an effort to lead the animal peacefully out of the lake and away from residential areas. 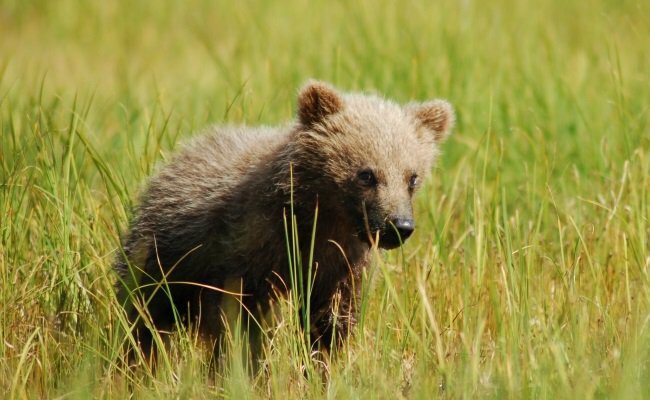 Arktouros official Nikos Panagiotopoulos told the Athens-Macedonian News Agency (ANA) the bear returned because food is in abundance and hunting for the young animal is easy in these conditions. “The large birds of the lake such as swans and ducks are exhausted, weakened and some even injured from the cold weather and the lack of food, making them easy prey for the young male,” he said.